Fresh hand-picked apples right off the tree are so crisp and sweet and a delicious snack. Between my house and my parent's house, we have 7 apple trees. That is a lot of apples for us to eat. 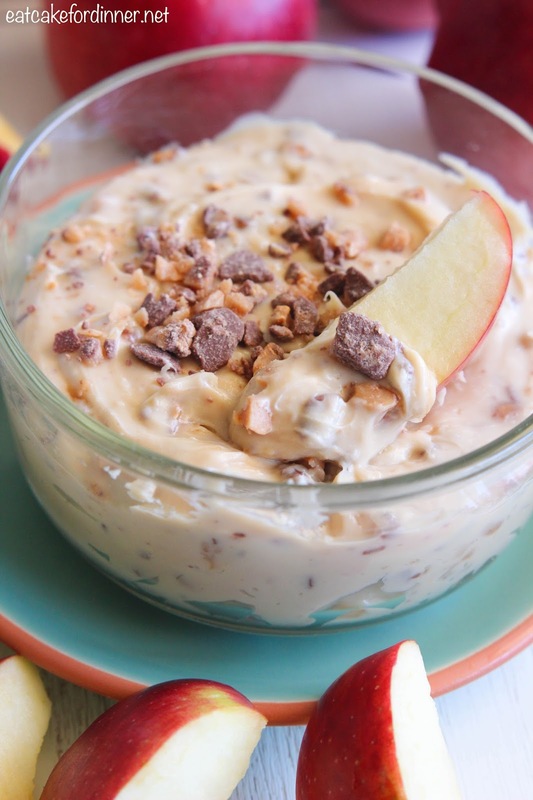 On day one the toffee bits are slightly crunchy and on day two they have dissolved into the dip and make the dip have a stronger toffee flavor. I like it both ways. 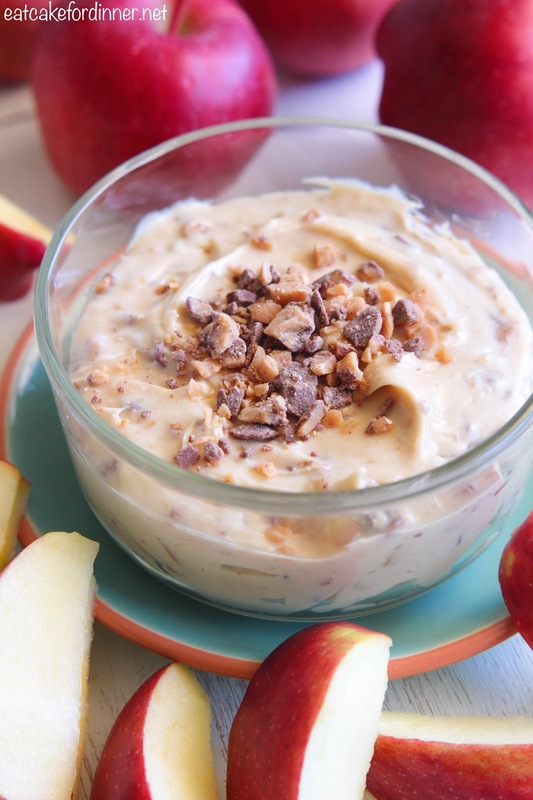 You have got to try this thick and creamy apple dip. In a medium bowl, combine cream cheese, brown sugar and vanilla and mix using a hand mixer until smooth and creamy. Stir in the toffee bits by hand. Garnish with more toffee bits. Serve with sliced apples. Keep leftover dip refrigerated. Jenn's Notes: The chocolate toffee bits are found in the baking aisle by the chocolate chips. 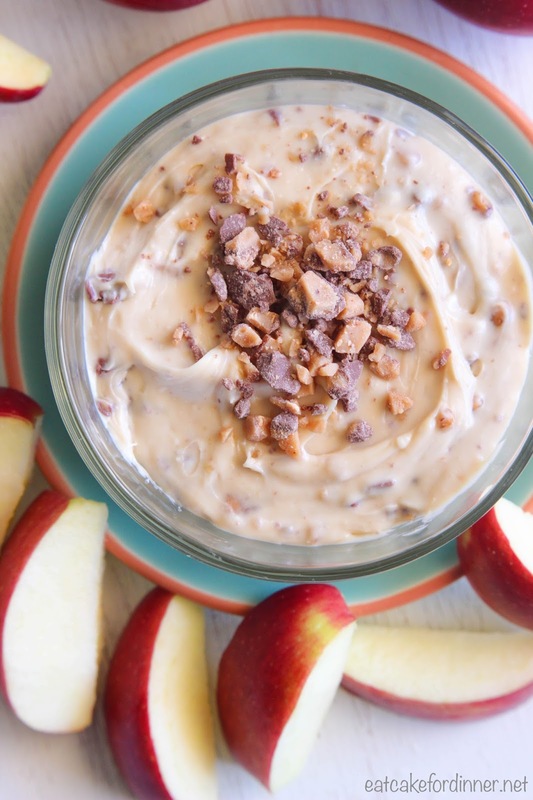 Your apple dip sounds amazing!